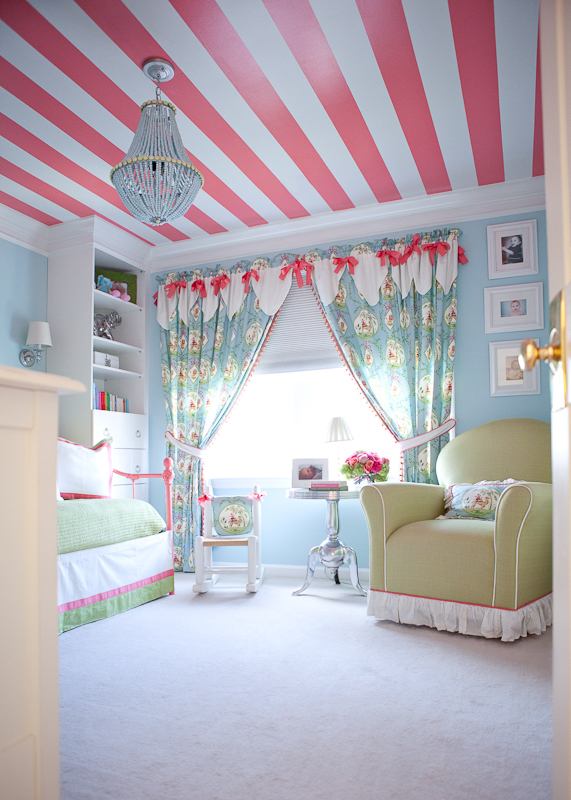 This year, designers are straying from the classic baby blues and pastel pinks and going bold! With big patterns and bright colors, nurseries are now loud statements of whimsy and imagination. 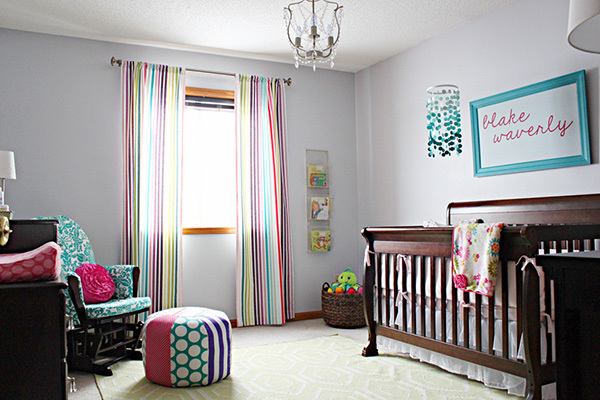 We’ve come up with this list of daring design ideas that really make a nursery pop! 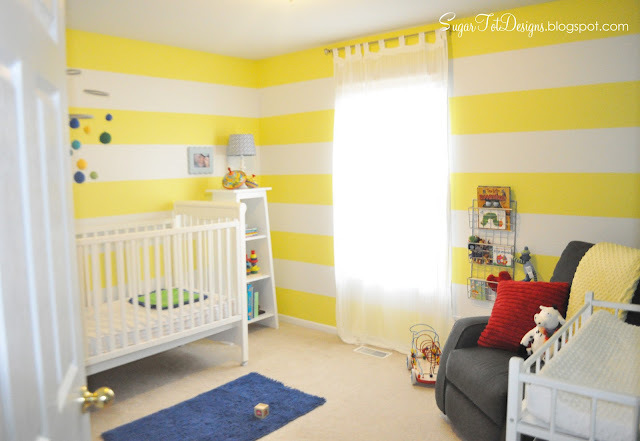 Adding both pattern and color, big stripes are sweeping their way across nursery walls everywhere. Many designers recognize the simple technique is a fool-proof way to add personality to any space. Stripes are even an easy DIY option- with a little patience and a lot of tape, you can add this professional accent to your home. If not the walls, why not put color on the floor? 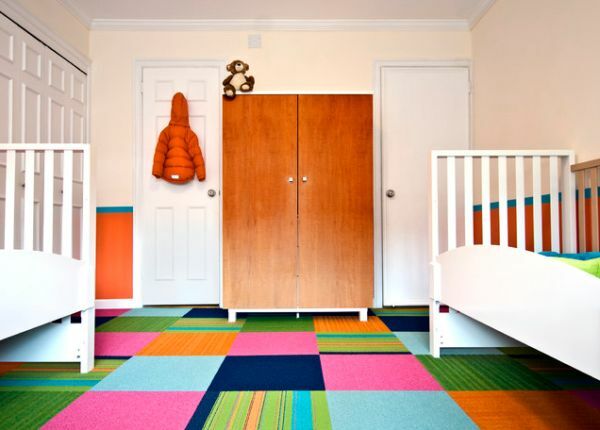 Big or small, a colorful rug can add interest and intrigue to any nursery. Find a thick, shag rug or one with fringe to add texture and depth to the room- and a little bit of hominess! Plus, it doubles as a great play space as your baby begins to sit up and play on his own. And we don’t mean the ones you win at a carnival. As one of the staple toys in a nursery, stuffed animals are now being directly incorporated into the design of a baby’s room. From sheep to giraffes to teddy bears, oversized plush animals add a unique shape that contrast all the right angles of cribs, changers and dressers. Plus, they’re super cute! 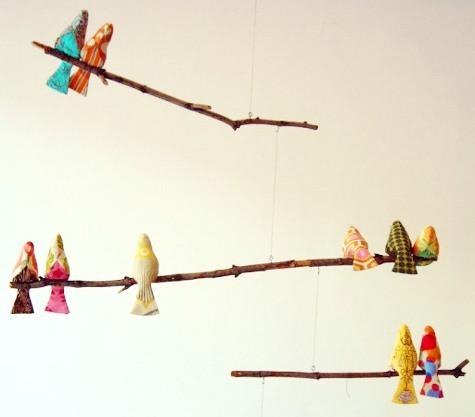 Rockers and gliders these days come in awesome colors and patterns, which can make a great focal point for a nursery. Unlike cribs that come in an almost-universal size and shape (and usually only about 4 colors), rocking chairs vary drastically. Rocker or glider, Wooden or cushioned, upholstered or solid, your choice of chair can easily define or enhance a nursery theme. Mobiles are to nurseries like bows are to birthday presents- just a little bonus fun on top! Luckily, they no longer have to be stuffed cartoon animals and can be a great way to show off your nurseries personality. 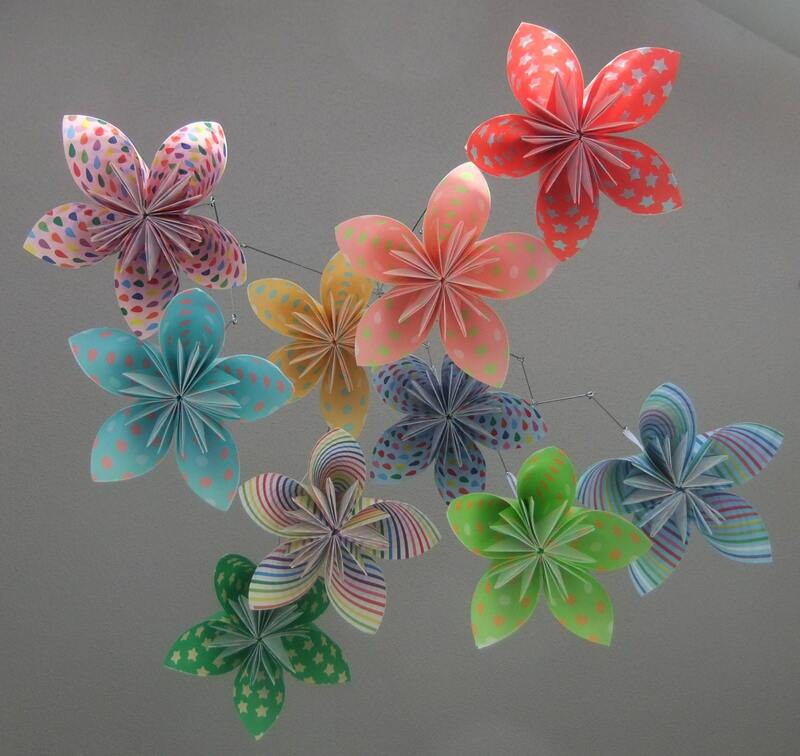 This year, many new moms are choosing to go with colorful paper origami mobiles and stylized, modern animal mobiles. 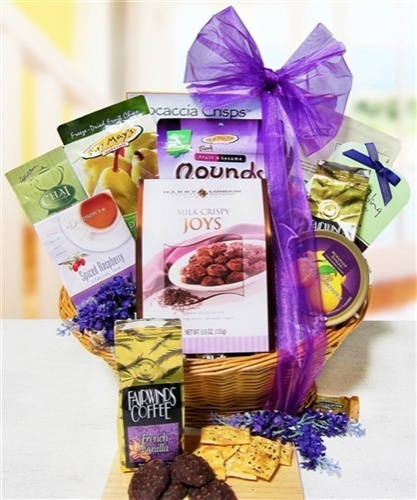 So your sister, co-worker, or friend just had a baby and she is insisting that she doesn’t need anything – but you don’t want to arrive at the hospital empty-handed. Chances are, flowers and a card are enough for your new mommy friend. But, if you want to try something creative and possibly DIY, here are a few ideas. Found this on Pinterest a few days ago. This newborn onesie is perfect for a baby girl or baby boy. The funny saying on the front will make for some cute photos! Try preparing frozen meals like lasagna, to give to the new parents. The first couple weeks after the baby is born is going to be stressful on your friends. Now, with your tasty lasagna in hand, they will have one less thing to worry about – what’s for dinner. Was there anything that your friend had to give up while she was pregnant? For instance, did she go cold turkey on chocolate because it made her nauseous? Or maybe your friend is a big coffee drinker and she was bummed out when she realized no more caffeine? Either way, create a gift bag designed around what the new mom had to give up during pregnancy and now she doesn’t have to. It is sort of a “Congratulations-on-making-it-through-pregnancy” gift.